With deliberate planning and clear communication, this Oregon school district regained community trust after elevated lead levels were found in the water supply. The problem of deferred maintenance isn’t unique to Portland, of course. A recent study estimates that American schools will need to spend $135 billion annually — $36 billion more than they spend at present — to maintain, operate, and upgrade their existing facilities “so that all students have access to healthy and safe school facilities that support learning” (Filardo, 2016). Still, while we are far from the only district to face these problems, the challenges that have confronted us in Portland have been particularly intense. And while we wouldn’t wish such a crisis upon any other school district, we believe that important lessons can be learned from the steps we’ve taken not only to protect our students’ health but also to regain the public’s trust. The severity of our public health problem became clear in spring 2016 when test results showed elevated lead levels in the district’s water supply. However, after reviewing the data, district staff made two serious mistakes: First, they allowed students to continue using the drinking water in one school for nearly two weeks after the test results came in. Second, they waited almost eight weeks to notify parents. In previous years, many parents had aired concerns about a lack of transparency in district decision making, but now, given this lapse in communication about a potential student health emergency, distrust of PPS ramped up to a whole new level. Parents were incensed, and the local media ran with the story, savaging district leaders daily (Hammond, 2016). 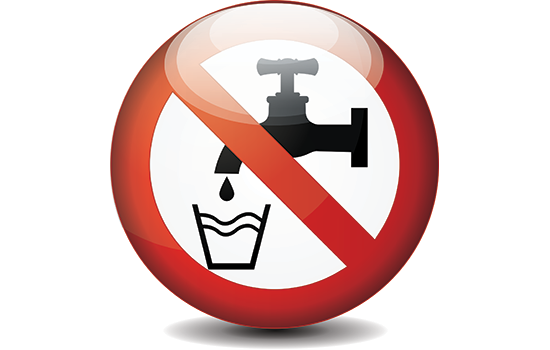 Hoping to contain the outrage, the district emailed all families and staff to announce that school drinking fountains would be shut down and bottled water provided for the remainder of the school year, with further testing and repairs to take place over the summer. Still, anger continued to intensify throughout the community — at a public meeting in the beginning of June, for example, a state senator was shouted down by parents calling for the superintendent to resign. Recognizing the need to act much more forcefully to correct the problem, the school board launched an investigation meant to review current systems, procedures, and protocols regarding water testing; evaluate the district’s management of information related to lead contamination, and identify where the process had broken down (DeJong & Berman, 2016). For employees of any organization facing an outraged public and a swarming media, it can be difficult to remain calm and take decisive action instead of pointing fingers and running for the hills. The investigation revealed that years of inadequate data management, inconsistent repair protocols, and unreliable communication had led to the current crisis (DeJong & Berman, 2016). In 2001, districtwide testing had shown that drinking fountains in many PPS schools contained lead at more than 15 parts per billion (i.e., beyond the upper limit of what’s safe). Remediation typically consisted of replacing the fixture and then, if the fountain still tested above a safe level, installing a filter. However, the records of these remediation efforts were incomplete and unreliable due to inconsistent data management protocols. In 2011, the district began another round of testing and repairs, focusing not just on water fountains but also on sinks at some schools. Yet administrators failed to communicate the results to parents, staff, and media; they never created a plan to mitigate the problems they discovered, and they neglected to schedule subsequent rounds of testing. In fact, it appeared that district administrators never fully grasped the danger of the lead problem at all. Having fumbled these responsibilities for years, district officials and board members now confronted two serious challenges at once: They would have to find a way to restore public trust in their leadership, and they would have to secure funding to significantly improve the school’s water system. Within the district office, we knew that it would be critical to assign these tasks to a calm, rational, and decisive figure, somebody who could soothe public fears and project a competent and trustworthy persona. Plus, we reasoned, this person should be intimately familiar with the district, have a solid track record of making important decisions, and be unsullied by any direct role in past failures to ensure health and safety. The chief financial officer (CFO) seemed to fit these criteria and was selected for this role. Then, to centralize decision making and reduce fragmentation of our work, we created a multidisciplinary health and safety leadership team (HSLT), including the CFO, risk management director, senior director of facilities, and interim chief of communications. Further, since our health and safety senior manager and chief operating officer had been placed on administrative leave, we filled out the team by recruiting a pair of retired professionals from outside PPS who had relevant expertise. As a first step to earning back the trust of parents, students, staff, and community members, the HSLT pledged to be open and transparent in its deliberations. However, the team had no idea how large and complex their task would become. For employees of any organization facing an outraged public and a swarming media, it can be difficult to remain calm and take decisive action instead of pointing fingers and running for the hills. During the early stages of our crisis, we endured a series of revelations about inadequate past lead testing, relentless public record requests, sharply negative press coverage, the departure of key leaders, angry parents and teachers, frustrated board members, and widespread confusion about what course of action we should take. Further, we had no prior experience responding to such a major crisis. The most serious mistake we made, early on, was to neglect to engage teachers and principals in our efforts, leaving them to get much of their information from parents and the media. Teachers and principals were the people that community members knew the best and trusted the most, and we should have made it a priority to get their input, keep them informed, and encourage them to act as liaisons to the public. Still, we got off to a good start with our emergency operations center, which quickly set up an effective system for distributing bottled water and, to ease parents’ fears, providing free blood tests to monitor children’s lead exposure. Also, we formed a close working relationship with county and state health authorities, and our district communications officers took it upon themselves to draft daily media releases, keeping the public informed of every new development. We immediately appointed an interim chief operating officer, too, which helped us keep the district running fairly smoothly, even though staff members were on edge and several of our facilities operations personnel resigned. Finally, when parents and community members vented their outrage, we did our best to hear them out rather than to ignore or react defensively to their criticism. Not surprisingly, their anger never fully eased. Gradually, though, as we continued to present the facts, reach out to the media, and announce realistic time frames for testing and replacing water fixtures, the level of tension did reduce somewhat. Although our main concern was to ensure the safety of school drinking fountains, we soon became aware of additional potential sources of lead exposure (such as handwashing, showers, eye washes, drinking from non-drinking sources, garden watering, and vegetable washing). To minimize fear and uncertainty, then, we decided to test all water fixtures in the district, including sinks, shower heads, and hose bibs. All told, we shut down and inspected 10,566 water fixtures, providing bottled water in the meantime. The magnitude of these tasks, combined with ongoing public record requests, media releases, and interviews, cannot be overstated. To address each emergent issue, the HSLT had to meet daily for several months. The initial testing revealed that 3,612 (or more than a third) of PPS water fixtures had lead levels of greater than the safe level of 15 parts per billion (see Table 1). However, based on information from state health professionals and experts at the Oregon Institute of Occupational Health Sciences Toxicology Information Center, the HSLT determined that not all fixtures needed to meet the standards required for drinking water. For example, because skin is a good barrier to lead in water used for handwashing, bathroom sinks appeared to present no danger (and we placed signs by sinks and hoses warning students and staff not to drink from those fixtures). At first, there was some debate about the safety of the water sprayed onto school gardens, but experts clarified that the background levels of lead in Portland soil are several orders of magnitude higher than in PPS water. That wasn’t comforting to hear, but it did mean that watering our school gardens presented no measurable increase in risk. Our consultants explained also that washing vegetables is unlikely to cause significant amounts of lead to show up in food. However, it is considered best practice for food preparers to use water that tests at a safe level for drinking, so we embarked on a complicated effort to bring all our kitchen fixtures quickly up to this standard — this meant, for example, that for part of the school year we had to purchase prewashed produce. The task of ensuring the safety of our drinking fountains was even more complicated. While many fountains tested at a safe level, it wasn’t always clear whether the fountain itself was safe or only appeared so because a lead filter had been installed. Since more than half of the filter maintenance records were incomplete, we couldn’t be sure that those fountains would be safe once their filters wore out. Thus, to eliminate any uncertainty, we kept them shut off until we could remove the filters and test them again. Additionally, we offered parents free access to blood testing for their children. Even after nearly 2,000 tests were performed, we found not a single case in which elevated lead levels could be traced to PPS water, and lead levels for our students proved to be within normal range for the larger community. Still, while these findings were welcome, they did not alter our commitment to minimize exposure to lead in our schools. To upgrade or replace all our drinking fountains and kitchen faucets would cost anywhere from $3.5 million to $107 million, depending on the amount of construction involved. We settled on a $28.5-million plan that seemed to offer the best balance of cost, risk reduction, and speed (one to two years). The process would require us to replace all drinking and kitchen fixtures with newer models that meet federal lead standards, remove all filters, and perform new tests. If lead levels in any fixture were found to exceed the safe limit, we would consider removing the fountain or sink. If the fixture was required to meet building code or service requirements, we would conduct a partial pipe replacement and then, if subsequent testing continued to show a problem, we would reevaluate the feasibility of removing that fountain or sink, and we would provide bottled water if needed. At all stages of planning, the HSLT sent updates to the school board so that board members could be aware of the operational challenges and stay involved in decision making. Further, the district continued to generate regular press releases and respond quickly to requests for public records, and every member of the HSLT agreed to be interviewed by television, radio, and/or print journalists, some of them multiple times. Our challenge became still more complicated, however, when (in June 2016) the governor of Oregon directed the state department of education to require schools to publish a “healthy and safe schools” plan. Anxiety about lead in the drinking water suddenly expanded to include concerns about lead-based paint, radon, pest management, and more. Parents, staff, and journalists began peppering the HSLT with questions about asbestos, fire alarms and sprinklers, mold, campus security, seismic safety, playground safety, and accessibility for people with disabilities. We were still working frenetically to test and upgrade thousands of water fixtures, but the public was asking about all sorts of health and safety issues that hadn’t been addressed over the years. Now that the community was coming to understand the full extent of our deferred maintenance, would we be able to bring them on board to support a long-term solution? To address these long-deferred maintenance issues, we would need significant amounts of money, so in the fall of 2016, PPS leadership began preparing a bond measure request. Plans were already underway to request $640 million to modernize four of our schools, and meeting these additional needs would require us to increase that request. Thus, not only would we have to continue to recover the trust and credibility we had lost in the crisis over drinking water, but we would have to persuade the public to bear some of the cost of resolving our problems. We decided to present the bond request as the logical next phase in a districtwide modernization process that had begun in 2012 with a bond measure to update four other district schools (Portland Public Schools, 2017). In early 2017, staff detailed all bond options and presented them to the board, followed by a public hearing, community listening sessions, presentations to community groups, town halls, and an online poll, all intended to inform the public and gather their input and (we hoped) support. A bond stakeholder advisory group convened to evaluate bond options and provide input to the board. We organized a “road tour” to share bond details with neighborhood and business associations, community organizations, parent teacher associations, and site councils. And a contractor conducted a districtwide public opinion survey that indicated support for health and safety funding. Addressing the 11 most pressing health and safety facility issues — water quality, lead paint, seismic safety, fire alarm and sprinkler upgrades, radon, roof and building envelope repairs, asbestos, accessibility, security, playground safety, and stage safety — would cost approximately $1.65 billion. We knew this was more than our community could support, so PPS assessed the risk and likely budget implications associated with each health and safety issue. We deemed seismic upgrades too costly ($935 million) for the bond, reasoning that it would be better to revisit this issue during discussions of major remodeling and building replacement. Likewise, we determined that stage and playground safety could be addressed later, using our annual capital budget. This left eight remaining health and safety issues, which would likely cost $665 million to address — and that, we realized, was still far too much to ask for on top of the $640 million already being raised for school modernization. To gauge public willingness to support a health and safety funding, we conducted an opinion survey on various spending options, which would likely cost $100 million to $200 million. Given the results, and with input from an advisory group, we determined that we could reasonably ask for $150 million (see Table 2) to address health and safety, bringing the total bond request up to $790 million. In addition, we realized that approximately 27% of the cost to modernize the four schools would end up mitigating many of our health and safety issues. Altogether, this meant spending up to $324 million for health and safety work — far less than the $1.65 billion required to respond to our 11 most pressing problems, but a considerable sum all the same. Risk: Which issues were most severe? Public awareness: Which issues were the public most concerned about? Operational savings:Which issues had the potential to reduce future operating costs if ameliorated? Equity: Which issues most affected underserved populations? Cluster of risks: Which issues involved multiple risks? Readily achievable: Which issues could we resolve quickly? In the end, the HSLT selected water quality, lead paint, and radon for districtwide mitigation because they appeared to present the highest institutional risk, arouse the greatest public concern, and offer the most readily achievable goals. In addition, the HSLT reserved significant amounts of money for the maintenance of roofs and fire systems, given their high institutional risk and potential for operational savings. The $790-million bond was the largest school bond request in Oregon history, yet it passed by a 66% majority. We believe the health and safety component — and our clear communication about the need — played a vital role in this outcome. Even after this success, much work remains to fully regain public trust and address PPS’s health and safety hazards, given the age and condition of our schools. But the public’s support of the very large bond measure is cause for optimism when it comes to repairing both our schools and our reputation. It also represents a significant turnaround from the lambasting we faced when lead issues first came to the forefront. Our experience demonstrates the importance of having an emergency management and response plan that incorporates a process for reaching out to staff, parents, the public, and a wide range of media. Our success reflects the community’s support of public education, their generosity, and much work by PPS staff and board in identifying and communicating health and safety needs and solutions. DeJong, T.S. & Berman, S.C. (2016). Report to the Portland Public Schools Board of Education of findings of investigation. Portland, OR: Stoll Berne PC. Filardo, M. (2016). State of our schools: America’s K-12 facilities 2016. Washington, DC: 21st Century School Fund. Hammond, B. (2016, May 28). Lead in school drinking water: Portland parents demand action after lapses. The Oregonian/Oregon Live. Citation: Awwad, Y., Burnham, J.W., & Wilton, C. (2018). Rebuilding public trust after a school health crisis. Phi Delta Kappan, 100 (1), 34-37. YOUSEF AWWAD (yousefawwad@gmail.com) is an adjunct faculty member at the University of Arizona, an independent consultant, and former deputy chief executive officer of Portland Public Schools in Oregon. JOHN W. BURNHAM (burnhamj@canby.com) is interim senior director of Portland Public Schools. COURTNEY WILTON (courtneywilton@gmail.com) is a retired executive, formerly of Portland, Ore., Public Schools. This is a VERY important article to be shared and read by all district leadership and boards. The strategies employed and lessons learned should be implemented NOW. Thank you Dr. Awwad for your leadership in this crisis. As an education professional who watched this unfold, I witnessed strong leadership moving forward knowing that there will be no public thank you or affirmation of this hard work. However, it had to be done. And, you made it happen. Thank you for putting on page what was a complex crisis so that we can learn and improve our practice. Do police have a place in schools?